Appearance: Sagara has the appearance than most Ashikaga clan members possess, a Grey skin tone that seems lifeless and dark grey hair. He usually wears causual attire and has 2 piercings on each side of his ear. He is known for carrying around a scythe just as most of the clan members. Personality: Sagara has no emotion in anything that he does, he tends to keep words with people brief and often speaks of himself in a higher manner, sometimes calling himself the ultimate shinobi. Sagara seems to think lowly of everyone he meets especially ninja from other villages and find pleasure in issuing pain to his enemies. Description:The Gosankygan 御三卿 (Meaning The Guardian Eye) allows the user to view the Chakra reserves and elements of the opponent. The eyes are also known to take up no chakra of the user in order to activate, due to this most members permanently leave the eyes on. The special ability of the eyes is the illuminate any Genjutsu that could be cast upon the user, It also allows the user to Reverse the casting of their opponents Genjutsu onto any target they choose including the original caster of the jutsu. Description:A living breathing image of the Rokkaku Demon that hovers above the head of the Ashikaga member. It is said that the Rokkaku Demon carries all the emotions of the Ashikaga user, being that Ashikaga's are emotionless the Demon tends to make jokes, laugh and even smile. 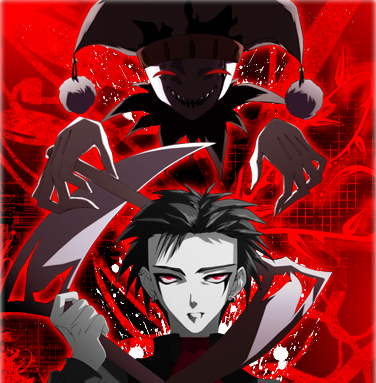 The demon is a clown that carries similar to the ones used by the Ashikaga clan, being that the Ashikaga excel at nin and genjutsu, they are extremely weak in taijutsu and therefore use the scythe as a weapon in case of close combat. The demon also weilds a scythe and will coordinate the fighting style used by the Ashikaga member putting twice the pressure on the opponent in order to increase the Taijutsu of the user by 20%. The demon is also able to create Shuriken and Kunai as well as store scrolls so the Ashikaga member will never need to have them. The demon can fly away from it's host and fight the enemy in their place in order to stall for a powerful jutsu that the Ashikaga will use and cannot be destroyed. If the Rokkaku is destoryed it will reform instantly above the head of the user so long as the Gosankygan 御三卿 is activated. The Demon is able to cast ninjutsu as well as genjutsu however the Genjutsu is not as strong as the Ashikaga's as they are the masters of the Illusion arts. The ninjutsu however are extremely effective and powerful at low ranks and become stronger as they are trained. The techniques that the Rokkaku possess will not need to be trained as the demon itself allows itself to lend it's strength to the Ashikaga member. This ability when the respective hand seals are made allows the user to case a strong miasma that moves throughout the battle zone for a range of 30 meters. Anyone caught within the miasma will be placed to sleep upon breathing it in. The jutsu will last 3 posts if the opponent is placed to sleep. This technique is relatively useless to the Ashikaga unless they are trying to stealthily assassinate. If Rokkaku is mastered this becomes one of the most valued techniques of the Ashikaga. Requirement: Must be of Ashikaga clan, Rokkaku must be present. With this technique Rokkaku will make a strong loud screeching sound using chakra to amplify the sound. The waves of the screech will be controlled by Rokkaku to directly target the ear causing excruciating pain and balance loss. It is capable of causing a person to want to cover their ears due to the noise, this could assist as it may just cause an opponent to cancel jutsu hand seals due to the pain. The Ashikaga however is unaffected by the screeching as they cannot hear a thing when Rokkaku uses the technique. The technique is capable of causing bleeding from the ear but otherwise deals no physical damage to the opponent. Requirement: Must be of Ashikgaga clan, Rokkaku must be present. The most known technqiue used by Rokkaku in terms of offense. This technique allows him to great shadow energy from the his hands to used in forms of blasts in which he can launch at an enemy in multiple shots or one strong wave. The energy is capable of doing collective damage upon impact, so it will take a few shots before a person is complete killed by the attack. The blasts are not that fast in travel thus ninja who excell in speed are able to avoid, the jutsu however has rapid recovery time so multiple use of the ability is available to Rokkaku. This technique is a very useful skill performed by Rokkaku. Using this ability allows the demon to create a barrier that specifically surrounds the Ashikaga member allowing them to prepare jutsu. 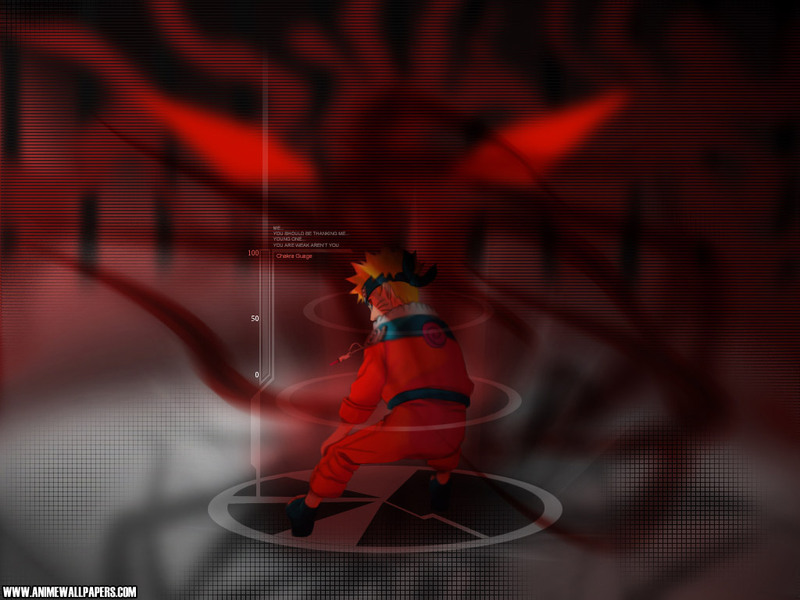 The barrier is unaffected by nin,tai, or Genjutsu and cannot be broken from the inside or outside. However in order to perform this Rokkaku must be focusing his attention on keeping the barrier up and therefor cannon defend himself. If Rokkaku is hurt in anyway the barrier will be destroyed and it may take time before Rokkaku is able to create another one (Maximum 2 post recovery time). 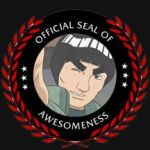 Sagara Ashikaga, a child born into the gifted Ashikaga clan of Konoha has become one of the most skilled Genjutsu users of his time. Sagara was always a child of mystery as non of the few members of the clan that remained seemed to be able to understand him. He kept to himself and even during his time in the academy, his actions showed that he preferred solo assignments. When Sagara graduated he explain to the Sensei that he would not like to be on a ninja team, his reason being that he was "The True Shinobi". He explained that He did not need a team to get any missions done and also that he would never be hurt by the enemy. His attitude did not win him many friends but his clan's reputation made them not doubt his words. Sagara believes that the village of Konohagakure is weak and that soon they will need the help of the Ashikaga clan again. Due to this he decided that when he was ready he would take the title of Hokage and lead the village to perfection.